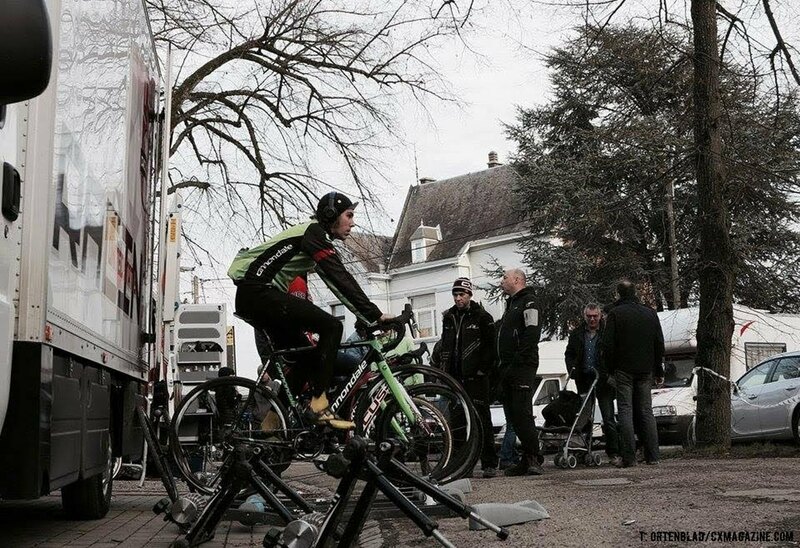 It’s the second installment of our rider diaries from the attendees of this season’s Cyclocross Development Camp in Sittard, Netherlands and this one comes from Curtis White (Cannondale p/b Cyclocrossworld.com). 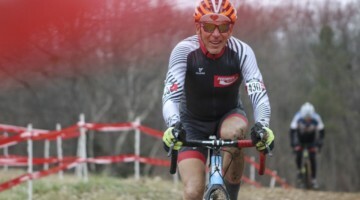 White joined the the Cannondale p/b Cyclocrossworld.com team back in 2013 and he was on hand for their 2015-16 campaign preparations late this Summer, led in part by Tim Johnson. White got going this season with back-to-back wins at Charm City, just like his sister Emma White did, and took the holeshot at Flandriencross holding on for eighth place. 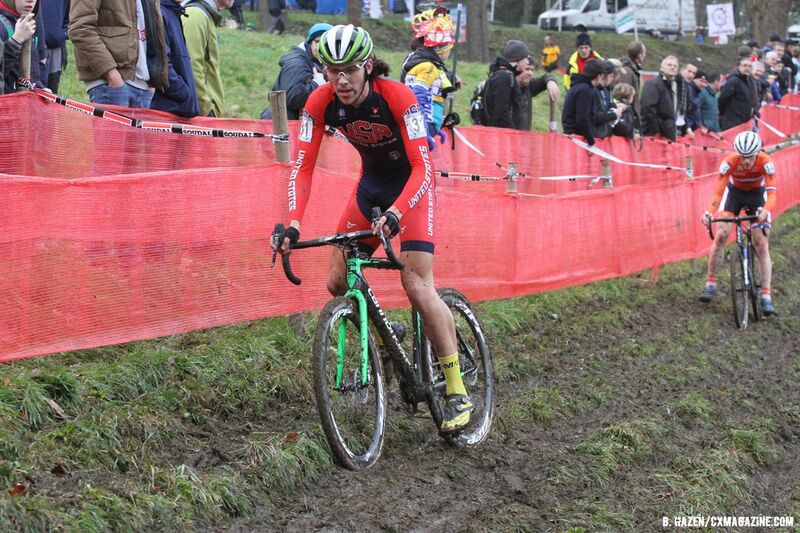 Yesterday was the World Cup at Namur and White was on the start line along with his fellow American racers. White rode to 27th yesterday in the U23 event, behind his countrymen Logan Owen in 17th and Tobin Ortenblad in 22nd. It was a hard race requiring plenty of preparedness as White notes in his rider diary, below. My alarm went off at 5:30 AM. The USA team mechanics were up, out and headed to the Namur World Cup course well before that. I got up and took a short walk to get the blood flowing, packed for the race and made the “Tim Johnson special” for breakfast—rice and eggs. Race prep actually began before this morning. It started yesterday during my openers. And before that, eleven days ago when I landed in Brussels. And back in August when I was piecing my race schedule together and training for the upcoming ‘cross season. The point is the preparation never stops. In the van to the course, I thought about how I wanted the race to go. Trying to envision riding “the perfect lap,” seeing myself where I want to be. That’s something my dad taught me. As an athlete, it’s important to be mentally prepared for what you’re about to ask of your body. And on a course like Namur, your body is pushed to the limits. After going through the race-day routine on site—hydrating, course recon, warming-up and a last minute energy gel, I know I’ve done everything I needed to. Just as we are about to leave for the start, the juniors finished and came back to the USA caravan of box trucks and vans. With a fourth and a sixth from Spencer Petrov and Gage Hecht in that race, the rest of the U23’s and I had a little extra motivation going to the start. The lights went from red to green and we stormed up the side of the Citadel. I was third after the hole-shot, and eighth after one lap. I was exactly where I saw envisioned myself. But three laps later, I cracked. 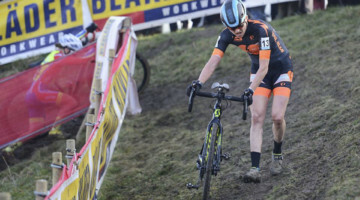 Anyone who has raced or seen the course at Namur can understand, it’s one of the hardest courses of the year. This was my fifth time racing Namur, and I made the simple mistake of not pacing myself how I should have. It’s frustrating and it’s a hard lesson to learn. The best thing I can do is not make the same mistake twice. I’ve been living at the USAC house in Sittard, Netherlands for the past eleven days, and have had three big race opportunities so far. And there’s still the World Cup in Zolder, the Superprestige in Diegem and the Bpost Bank Trofee in Loenhout. I enjoy all those courses, but I’m most excited to race on the course that will host the World Championships in just over a month. A lot of time, energy and resources go into giving riders like me the support to race with the best in the world. Even with the rough days, there’s no place I’d rather be. Thanks a million to USA Cycling, Geoff Proctor and the supporting staff and mechanics, Cannondale p/b Cyclocrossworld.com, my coach Frank McCormack and my parents.